(2014) "One Last Time (Attends-moi)"
"One Last Time" is a song recorded by American singer Ariana Grande for her second studio album My Everything . It was written by David Guetta, Savan Kotecha, Giorgio Tuinfort, Rami Yacoub, and Carl Falk. The song was produced by the latter two, with Tuinfort serving as a co-producer and Ilya serving both as a co-producer and vocal producer. "One Last Time" was first released on the iTunes Store on August 22, 2014 as the second promotional single from the album. On February 10, 2015, the song was sent to contemporary hit radio as the fifth and final single from the album. A French version of the song featuring French singer Kendji Girac, alternatively titled "Attends-moi", was released on February 16, 2015 in France, Belgium and Switzerland. It is also included on the deluxe version of Girac's debut studio album Kendji (2015). An Italian version of the song featuring Italian rapper Fedez was released on May 26, 2015 only in Italy. Pierre David Guetta is a French DJ, music programmer, record producer and songwriter. He has sold over nine million albums and thirty million singles worldwide. In 2011, Guetta was voted as the number one DJ in the DJ Mag Top 100 DJs poll. In 2013, Billboard crowned "When Love Takes Over" as the number one dance-pop collaboration of all time. 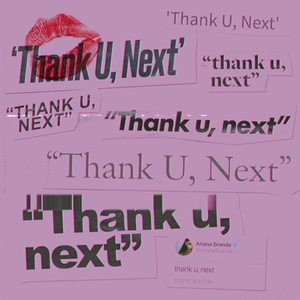 "One Last Time" is a dance-pop and EDM song. Its instrumentation consists of sampled drums and a synth line. The single reached the top-twenty in twelve countries, including Australia, Canada, France, the United Kingdom and the United States, where it became Grande's sixth top-twenty single on the US Billboard Hot 100. The single's peak of number 13 on the US Billboard Hot 100 ended Grande's streak of consecutive top ten hits from 2014. It was later certified platinum by the Recording Industry Association of America (RIAA) and Australian Recording Industry Association (ARIA). The song's accompanying music video was released on February 15, 2015 and was directed by Max Landis. The music video is visually presented as a found footage, similar to Landis' previous work. The video faced controversy due to its similarity to the music video for the Australian band SAFIA's single "You Are the One", with Grande and Landis being accused of intellectual property theft. Grande promoted the song with a live performance on The Tonight Show Starring Jimmy Fallon , the 2015 NBA All-Star Game halftime show, and during her first world tour, The Honeymoon Tour (2015). Max Landis is an American screenwriter, director, producer, and comic book writer who wrote the films Chronicle (2012), American Ultra (2015), Victor Frankenstein (2015), and Bright (2017), as well as a variety of short films including The Death and Return of Superman and Wrestling Isn't Wrestling. He was an executive producer on the Syfy anthology horror series Channel Zero, as well as creator and showrunner for the American adaptation of Douglas Adams' science fiction detective comedy novel series Dirk Gently's Holistic Detective Agency on BBC America, which both premiered in October 2016. Controversy is a state of prolonged public dispute or debate, usually concerning a matter of conflicting opinion or point of view. The word was coined from the Latin controversia, as a composite of controversus – "turned in an opposite direction," from contra – "against" – and vertere – to turn, or versus, hence, "to turn against." Grande re-released "One Last Time" as a charity single in June 2017, following the Manchester Arena bombing at her concert the previous month. This resulted in the song reaching a new peak of number 2 on the UK Singles Chart following the One Love Manchester concert, as well as reaching a new peak of number 15 in the Irish Singles Chart. Grande will donate all proceeds to the We Love Manchester Emergency Fund to aid the victims of the bombing and their families. Overall, the song attained a top-ten peak in Belgium, the Czech Republic, France, Italy, Lebanon, the Netherlands, Slovakia, the United Kingdom and the top-twenty of Australia, Canada, Denmark, Ireland, Spain and the United States. French DJ David Guetta co-wrote "One Last Time". Rami Yacoub, also known by the mononym Rami, is a Swedish music producer and songwriter and former member of the songwriting/production houses Cheiron Studios and Maratone. Yacoub collaborated extensively with Max Martin in the early part of his career. He has worked with acts such as Britney Spears, Nicki Minaj, Madonna, Bon Jovi, Backstreet Boys, Demi Lovato, One Direction, Westlife, The Saturdays, P!nk, Celine Dion, Enrique Iglesias, Tiësto, Avicii, NSYNC and Weezer. Carl Anthony Falk, is a Swedish songwriter, record producer and musician and has worked with artists such as Demi Lovato, One Direction, Nicki Minaj, Ellie Goulding, Madonna, Avicii, Ariana Grande, Charlie Puth and Jason Derulo. Contemporary hit radio is a radio format that is common in the United States, Brazil, United Kingdom, Ireland, Canada, New Zealand, Australia, Singapore, Trinidad and Tobago, South Africa, and the Philippines, that focuses on playing current and recurrent popular music as determined by the top 40 music charts. There are several subcategories, dominantly focusing on rock, pop, or urban music. Used alone, CHR most often refers to the CHR-pop format. The term contemporary hit radio was coined in the early 1980s by Radio & Records magazine to designate top 40 stations which continued to play hits from all musical genres as pop music splintered into adult contemporary, urban contemporary and other formats. A 19-second sample of "One Last Time". In the wake of the 2017 Manchester Arena bombing, a resurgence of popularity and meaning for the single came as a homage to the victims of the event. Fans had started a petition to get the song to the top of the charts. The song re-entered strongly on the record charts across several nations including the UK, where it subsequently rose to a new peak of number two on the UK Singles Chart following the One Love Manchester benefit concert, as well as a new chart peak of number sixteen in Ireland, which was topped the week after by a chart move to number fifteen. It was certified platinum soon after, on June 9, 2017, by the BPI for selling over 600,000 copies, and then double platinum on February 23, 2018 for shipments of over 1.2 million copies in the country, her first single to do so. In Scotland, "One Last Time" also re-entered following the incident, and eventually topped the Scottish Singles chart on the issue dated June 9, 2017. The song also reached number 35 on the Australian ARIA Singles Chart, and number 23 in France and number 11 in Spain. The music video stars Grande's Victorious co-star Matt Bennett. "Andalouse" is a song recorded by French singer Kendji Girac. It was written by Rachid Mir, Christian Dessart and Nazim Khaled, being produced by The Bionix. The song was released by Mercury Records on August 18, 2014 as the lead single from Girac's debut eponymous album, Kendji. "Andalouse" is a dance-pop song with influences of Latin and Indian music, and it also features the singer having a conversation in Spanish. ↑ Waters, Lowenna (June 5, 2017). "Ariana Grande's One Last Time re-released on iTunes as charity track to support Manchester". The Telegraph. Retrieved June 5, 2017. ↑ "Works Search: One Last Time by Ariana Grande". Australasian Performing Right Association . Retrieved July 17, 2016. ↑ Wass, Mike (May 20, 2015). "David Guetta Talks New LP 'Listen,' Smash Hit "Hey Mama" & The Future Of Dance Music: Idolator Interview". Idolator . Retrieved May 23, 2015. ↑ Trust, Gary (April 28, 2015). "Five Hits, One Album: The Strategy Behind Ariana Grande's Singles From 'My Everything'". Billboard . Retrieved May 24, 2015. 1 2 3 4 "One Last Time – Single by Ariana Grande". iTunes Store . Apple. Archived from the original on August 28, 2014. Retrieved August 22, 2014. ↑ Shotwell, James (August 13, 2014). "Ariana And Big Sean Make The "Best Mistake" On New Single". Under The Gun Review. Archived from the original on September 2, 2014. Retrieved September 2, 2014. 1 2 "Top 40 | Ariana Grande "One Last Time" | Republic Playbook". Republic Records. Archived from the original on January 27, 2015. Retrieved January 27, 2015. 1 2 "Rhythm | Ariana Grande "One Last Time" | Republic Playbook". Republic Records. Archived from the original on February 2, 2015. Retrieved January 27, 2015. 1 2 J.M. (February 16, 2015). "Ecoutez "One Last Time (Attends-moi)", le duo entre Ariana Grande et Kendji Girac". Programme-tv.net (in French). Retrieved February 16, 2015. 1 2 "One Last Time (Attends-moi) [feat. Kendji Girac] - Single by Ariana Grande". iTunes Store . Belgium: Apple. Archived from the original on February 19, 2015. Retrieved August 20, 2014. 1 2 "One Last Time (Attends-moi) [feat. Kendji Girac] - Single by Ariana Grande". iTunes Store . Switzerland: Apple. Archived from the original on March 4, 2015. Retrieved August 20, 2014. ↑ "Kendji (Deluxe Version) – Album by Kendji Girac". iTunes Store . Retrieved May 4, 2015. 1 2 Piton, Quentin (May 16, 2015). "Kendji Girac s'invite sur scène au Zénith de Paris pour le concert d'Ariana Grande". Purebreak (in French). Retrieved May 16, 2015. 1 2 3 "One Last Time (Feat. Fedez) - Single by Ariana Grande". iTunes Store . Italy: Apple. Archived from the original on May 26, 2015. Retrieved May 26, 2015. ↑ "Ariana Grande e Fedez, la strana coppia". rtl.it (in Italian). May 25, 2015. Retrieved May 26, 2015. ↑ "Ariana Grande's One Last Time re-released on iTunes as charity track to support Manchester". The Telegraph. 1 2 3 Copsey, Rob (February 8, 2015). "Ariana Grande goes it alone on new single 'One Last Time'". Official Chart Company. 1 2 Sawdey, Evan (August 25, 2014). "Ariana Grande: My Everything | PopMatters". PopMatters . Retrieved May 24, 2015. 1 2 3 Lipshutz, Jason (February 8, 2015). "Ariana Grande Expands on 'My Everything': Track-By-Track Review". Billboard. Retrieved May 24, 2015. ↑ "One Last Time by Ariana Grande - Digital Sheet Music". MusicNotes.com. Retrieved May 24, 2015. 1 2 3 Feraren, John Mychal (January 18, 2015). "Ariana Grande: 'One Last Time' Single Review". FDRMX. Archived from the original on February 10, 2015. Retrieved May 24, 2015. ↑ Erlewine, Stephen Thomas (August 25, 2014). "My Everything - Ariana Grande | Allmusic". AllMusic . Retrieved May 24, 2015. ↑ Zaleski, Anne (August 26, 2014). "Review: Ariana Grande's sweet, sweet fantasies are polished but disappointing". The A.V. Club . Archived from the original on September 1, 2014. Retrieved May 24, 2015. ↑ Villa, Lucas (February 7, 2015). "Ariana Grande goes it alone on new single 'One Last Time'". AXS. ↑ "Ariana Grande: 'One Last Time' Single Review". PPcorn.com. January 19, 2016. Retrieved July 17, 2016. ↑ Wood, Mikael (August 29, 2014). "Review: Ariana Grande makes big things happen on headstrong 'My Everything'". Los Angeles Times . Retrieved May 24, 2015. ↑ Corner, Lewis (August 22, 2014). "Ariana Grande My Everything album review: 'Her voice shines supreme'". Digital Spy . Retrieved May 24, 2015. ↑ Marsh, Jean-Luc (August 25, 2014). "Album Review: Ariana Grande, My Everything". Pretty Much Amazing. Retrieved May 24, 2015. ↑ Workman, Adam (September 1, 2014). "Album review: Ariana Grande – My Everything". The National (Abu Dhabi) . Retrieved May 24, 2015. ↑ Iandoli, Kathy (August 25, 2014). "Ariana Grande's 'My Everything': Album Review". Idolator. Archived from the original on August 26, 2014. Retrieved May 24, 2015. ↑ Levine, Nick (August 26, 2014). "Ariana Grande – 'My Everything' album review". Time Out . Retrieved May 24, 2015. 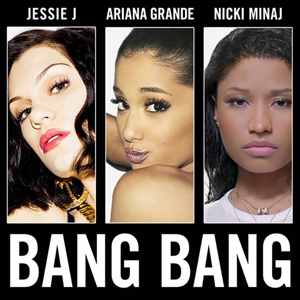 ↑ "Bubbling Under Hot 100 : February 21, 2015 | Billboard". Billboard. Retrieved May 24, 2015. ↑ "Music: Top 100 Songs - Week of February 28, 2015 | Billboard". Billboard. Prometheus Global Media. Retrieved May 24, 2015. ↑ "Music: Top 100 Songs - Week of March 7, 2015 | Billboard". Billboard. Prometheus Global Media. Retrieved May 24, 2015. ↑ "Music: Top 100 Songs - Week of March 28, 2015 | Billboard". Billboard. Prometheus Global Media. Retrieved May 24, 2015. ↑ "Ariana Grande – Chart History: The Hot 100". Billboard . Prometheus Global Media . Retrieved June 7, 2014. 1 2 "Ariana Grande Chart History (Hot 100)". Billboard. Retrieved April 22, 2015. 1 2 "Ariana Grande Chart History (Pop Songs)". Billboard. Retrieved April 23, 2015. 1 2 "Ariana Grande Chart History (Canadian Hot 100)". Billboard. Retrieved February 19, 2015. 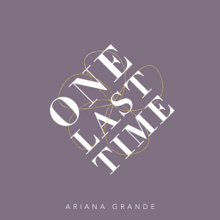 1 2 3 "Australian-charts.com – Ariana Grande – One Last Time". ARIA Top 50 Singles. Retrieved March 28, 2015. 1 2 "Charts.nz – Ariana Grande – One Last Time". Top 40 Singles. Retrieved March 13, 2015. 1 2 3 "Lescharts.com – Ariana Grande – One Last Time" (in French). Les classement single. Retrieved March 13, 2015. 1 2 "Lescharts.com – Ariana Grande feat. Kendji Girac – One Last Time (Attends-moi)" (in French). Les classement single . Retrieved February 25, 2015. ↑ "Discography Ariana Grande". italiancharts.com. Hung Medien. Retrieved June 7, 2014. ↑ "Ariana Grande". Official Charts Company . Retrieved October 4, 2014. 1 2 "British single certifications – Ariana Grande – One Last Time". British Phonographic Industry . Retrieved February 23, 2018. Select singles in the Format field. Select Platinum in the Certification field. Type One Last Time in the "Search BPI Awards" field and then press Enter. ↑ "Ariana Grande Fans Want To Send "One Last Time" To Number One As A Tribute To The Manchester Attack Victims". BuzzFeed. Retrieved May 26, 2017. 1 2 "Official Irish Singles Chart Top 50: 16 June 2017 - 22 June 2017". Official Charts Company . Retrieved July 28, 2017. ↑ "Songs By Ariana Grande, Martin Jensen, Beyonce, More Certified Platinum In UK". Headline Planet. June 9, 2017. Retrieved June 15, 2017. ↑ "Archive Chart: 2017-06-9". Scottish Singles Top 40 . Retrieved June 9, 2017. 1 2 3 "Ariana Grande Teases 'Scary' 'One Last Time' Video: 'It's A Little On The Edge Of Your Seat'". MTV News. Retrieved February 12, 2015. ↑ "Ariana Grande's 'One Last Time' Video Could Bring About The End Of The WORLD". Capital FM . Retrieved January 9, 2015. ↑ "WATCH: Ariana Grande Releases Video For 'One Last Time'". iHeartRadio. February 17, 2015. Retrieved May 15, 2015. ↑ Villa, Lucas (October 30, 2013). "Ariana Grande chases her Romeo in 'Right There' video featuring Big Sean". AXS . Retrieved May 15, 2015. ↑ Gracie, Bianca. "Ariana Grande Is Shooting Video For Reportedly New Single, "One Last Time"". idolator.com. Retrieved January 8, 2015. ↑ "Ariana Grande - One Last Time (Lyric Video)". YouTube . Retrieved January 6, 2015. ↑ "Ariana Grande Twitter: #onelasttime lyric video! a pretty, little something to hold u over until the music video is done. hope you enjoy! x". Twitter . February 6, 2015. Retrieved July 19, 2016. ↑ "#3DaysUntilTheOneLastTimeVideo". Instagram. Retrieved February 12, 2015. ↑ Holben, Jay (March 2012). "Power Trip". American Cinematographer . 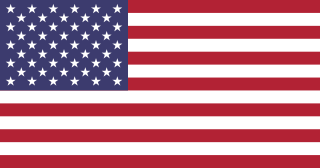 Hollywood, California: ASC Holding Corp.: 42–49. ↑ Grande, Ariana (February 6, 2015). "director max landis looking pretty chill considering we're about to pass thru comet eurydice's tail in about #9days". Twitter . ↑ Peters, Mitchell (February 16, 2015). "Watch Ariana Grande Face Deadly Comet in 'One Last Time' Video". Billboard . Retrieved February 28, 2015. ↑ Über 100 Millionen Views: "One Last Time" von Ariana Grande ist "VEVO Certified" [More than 100 million views: "One Last Time" by Ariana Grande is "VEVO Certified"] (in German). Retrieved November 14, 2015. ↑ Chau, Thomas (February 16, 2015). "Ariana Grande Braves the Apocalypse in 'One Last Time' Music Video". PopCrush . Retrieved July 19, 2016. ↑ Chris Coplan (February 17, 2015). "Watch Ariana Grande's apocalyptic video for "One Last Time"". Consequence of Sound . Retrieved July 24, 2016. ↑ Helen Regan (February 16, 2015). "Watch Ariana Grande's Apocalyptic New Video 'One Last Time'". Time . Retrieved July 24, 2016. ↑ Grande, Ariana (February 15, 2015). "Ariana Grande - One Last Time". YouTube . ↑ Ariana Bacle (February 16, 2015). "Ariana Grande avoids comets in 'One Last Time' video". Entertainment Weekly . Retrieved February 16, 2015. ↑ Rae Paoletta (February 16, 2015). "Ariana Grande's 'One Last Time' Video Shows Us The Apocalypse Is Better When You Have A Hot Dude To Cuddle". MTV.com . Retrieved February 16, 2015. ↑ Kathy McCabe (February 17, 2015). "Ariana Grande accused of ripping off Aussie band SAFIA in new music video". News.com.au . Retrieved February 17, 2015. ↑ Lewis, Casey. "Ariana Grande Just Announced Her Next Single—And She's Performing It Tonight". Teen Vogue. Archived from the original on February 2, 2015. Retrieved January 24, 2015. ↑ Lipshut, Jason (February 15, 2015). "Ariana Grande Brings Out Nicki Minaj During NBA All-Star Halftime Show". Billboard . Retrieved February 15, 2015. ↑ "One Last Time (Attends-moi) [feat. Kendji Girac] - Single by Ariana Grande". iTunes Store . France: Apple. Archived from the original on February 16, 2015. Retrieved August 20, 2014. ↑ My Everything (CD). Ariana Grande. Republic Records. 2014. p. 2–3. 3799485. ↑ "Austriancharts.at – Ariana Grande – One Last Time" (in German). Ö3 Austria Top 40. Retrieved March 18, 2015. ↑ "Ultratop.be – Ariana Grande – One Last Time" (in Dutch). Ultratop 50. Retrieved February 27, 2015. ↑ "Ultratop.be – Ariana Grande – One Last Time" (in French). Ultratop 50. Retrieved February 22, 2015. ↑ "Chart Search". Billboard Canada AC for Ariana Grande. Retrieved January 9, 2016. ↑ "Ariana Grande Chart History (Canada CHR/Top 40)". Billboard. Retrieved September 18, 2014. ↑ "Ariana Grande Chart History (Canada Hot AC)". Billboard. Retrieved October 23, 2014. ↑ "ČNS IFPI" (in Czech). Hitparáda – Radio Top 100 Oficiální. IFPI Czech Republic. Note: Change the chart to CZ – RADIO – TOP 100 and insert 201518 into search. Retrieved May 12, 2015. ↑ "ČNS IFPI" (in Czech). Hitparáda – Digital Top 100 Oficiální. IFPI Czech Republic. Note: Change the chart to CZ – SINGLES DIGITAL – TOP 100 and insert 201511 into search. Retrieved March 8, 2015. ↑ "Danishcharts.com – Ariana Grande – One Last Time". Tracklisten. Retrieved March 22, 2015. ↑ "Offiziellecharts.de – Ariana Grande – One Last Time". GfK Entertainment Charts. Retrieved March 9, 2015. ↑ "Chart Track: Week 12, 2015". Irish Singles Chart. Retrieved March 5, 2015. ↑ "Classifica settimanale WK 22 (dal 2015-05-25 al 2015-05-31)" (in Italian). Federazione Industria Musicale Italiana . Retrieved June 5, 2015. ↑ "Ariana Grande Chart History (Japan Hot 100)". Billboard. Retrieved June 20, 2015. ↑ "The Official Lebanese Top 20 - Ariana Grande". The Official Lebanese Top 20. November 8, 2015. Retrieved June 12, 2017. ↑ "Nederlandse Top 40 – Ariana Grande" (in Dutch). Dutch Top 40. Retrieved February 19, 2015. ↑ "Dutchcharts.nl – Ariana Grande – One Last Time" (in Dutch). Single Top 100. Retrieved February 20, 2015. ↑ "Norwegiancharts.com – Ariana Grande – One Last Time". VG-lista. Retrieved February 23, 2015. ↑ "Listy bestsellerów, wyróżnienia :: Związek Producentów Audio-Video". Polish Airplay Top 100. Retrieved July 20, 2015. ↑ "Official Scottish Singles Sales Chart Top 100". Official Charts Company. Retrieved May 27, 2017. ↑ "ČNS IFPI" (in Slovak). Hitparáda – Radio Top 100 Oficiálna. IFPI Czech Republic. Note: insert 201527 into search. Retrieved January 9, 2016. ↑ "ČNS IFPI" (in Slovak). Hitparáda – Singles Digital Top 100 Oficiálna. IFPI Czech Republic. Note: Select SINGLES DIGITAL - TOP 100 and insert 201511 into search. Retrieved March 8, 2015. ↑ "Swedishcharts.com – Ariana Grande – One Last Time". Singles Top 100. Retrieved February 19, 2015. ↑ "Swisscharts.com – Ariana Grande – One Last Time". Swiss Singles Chart. Retrieved March 1, 2015. 1 2 "Ariana Grande: Artist Chart History". Official Charts Company. Retrieved May 27, 2017. ↑ "Ariana Grande Chart History (Adult Pop Songs)". Billboard. Retrieved May 14, 2015. ↑ "Ariana Grande Chart History (Dance Mix/Show Airplay)". Billboard. Retrieved June 4, 2015. ↑ "Ariana Grande Chart History (Dance Club Songs)". Billboard. Retrieved June 4, 2015. ↑ "Ariana Grande Chart History (Rhythmic)". Billboard. Retrieved April 30, 2015. ↑ "ČNS IFPI" (in Czech). Hitparáda – Digital Top 100 Oficiální. IFPI Czech Republic. Note: insert 201723 into search. Retrieved June 13, 2017. ↑ "Spanishcharts.com – Ariana Grande – One Last Time" Canciones Top 50. Retrieved October 12, 2017. ↑ "ARIA Charts - End of Year Charts - Top 100 Singles 2015". Australian Recording Industry Association . Retrieved January 6, 2016. ↑ "JAAROVERZICHTEN 2015: Singles" (in Dutch). Ultratop. Hung Medien. Retrieved January 9, 2016. ↑ "RAPPORTS ANNUELS 2015: Singles" (in French). Ultratop. Hung Medien. Retrieved January 9, 2016. ↑ "Canadian Hot 100 Year End 2015". Billboard. Prometheus Global Media. Retrieved December 9, 2015. ↑ "Tracklisten Top 2015". Hitlisten.nu. IFPI. Retrieved December 29, 2015. ↑ "FIMI – Classifiche "Top Of The Music" 2015 FIMI-GfK: La Musica Itaiana" (in Italian). Federazione Industria Musicale Italiana . Retrieved January 9, 2016. ↑ "End of Year Singles Chart Top 100 - 2015" . Retrieved January 5, 2016. ↑ "Rhythmic Songs Year End 2015". Billboard. Prometheus Media Group. Retrieved January 9, 2016. ↑ "Japan Streaming Songs : Year End 2017". Billboard Japan . Retrieved January 25, 2019. ↑ Copsey, Rob (January 3, 2018). "The Official Top 40 Biggest Songs of 2017". Official Charts Company . Retrieved January 3, 2018. ↑ "ARIA Charts – Accreditations – 2015 Singles". Australian Recording Industry Association. ↑ "Ultratop − Goud en Platina – singles 2015". Ultratop. Hung Medien. Retrieved October 2, 2015. 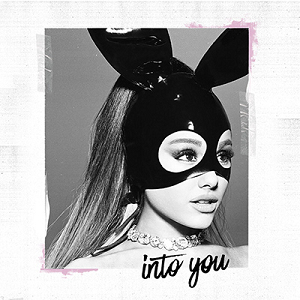 ↑ "Canadian single certifications – Ariana Grande – One Last Time". Music Canada . Retrieved March 2, 2015. ↑ "Danish single certifications – Ariana Grande". IFPI Denmark. Retrieved April 16, 2019. ↑ "French single certifications – Ariana Grande – One Last Time" (in French). Syndicat National de l'Édition Phonographique. ↑ "Gold-/Platin-Datenbank (Ariana Grande; 'One Last Time')" (in German). Bundesverband Musikindustrie . Retrieved April 16, 2019. 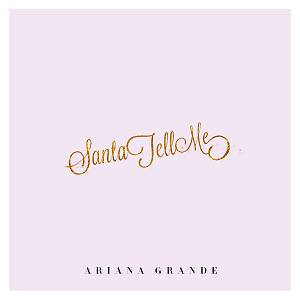 ↑ "Italian single certifications – Ariana Grande – One Last Time" (in Italian). Federazione Industria Musicale Italiana . Retrieved November 17, 2018. Select "2017" in the "Anno" drop-down menu. Select "One Last Time" in the "Filtra" field. Select "Singoli online" under "Sezione". ↑ "Norwegian single certifications – Ariana Grande – One Last Time" (in Norwegian). IFPI Norway. ↑ "Polish single certifications – Ariana Grande – One Last Time" (in Polish). Polish Society of the Phonographic Industry . Retrieved December 16, 2015. ↑ "Guld- och Platinacertifikat" (in Swedish). IFPI Sweden . Retrieved March 17, 2015. Type Ariana Grande in the top right search bar. Click on "Sok" and select "Visa" under One Last Time to see certification. ↑ "American single certifications – Ariana Grande – One Last Time". Recording Industry Association of America . Retrieved May 29, 2015. If necessary, click Advanced, then click Format, then select Single, then click SEARCH. ↑ "Hot AC | Ariana Grande "One Last Time" | Republic Playbook". Republic Records. Archived from the original on February 28, 2015. Retrieved March 16, 2015.